Barefoot Angie Bee: You know you want a Mantra T! Gone for a Run Giveaway. You know you want a Mantra T! Gone for a Run Giveaway. I am one lucky ducky to have had the opportunity to try out some fab stuff from Gone for a Run and now you get a chance to win a mantra t-shirt! Whats your mantra? What gives you peace of mind or that added kick in the tookus when you need it most? Now you can choose what to put on your favorite t-shirt! Gone for a Run is sponsoring this giveaway of a Mantra T-shirt to one of you! If you win ,and I mean you gents as well as ladies, will get to choose which style of t-shirt, color, and mantra. I have the running t-shirt in blue and love it! You also get to pick the color and as I mentioned here, they have THE BEST color options! "i just felt like running, then after that i couldn't stop!" * Follow my groovy little blog. * Go over to Gone for a Run and tell me which mantra you would choose as well as color and style. * "like" Gone for a Run on facebook. * Spread the word! Blog, tweet, facebook status, ect. Make sure you leave a comment for each. * Say in your best Napoleon Dynamite voice "mantras, colors, lucky!!" ok just kidding on that one. This sweet giveaway will run through July 27th and the winner will be announced on the 28th. For some added inspiration I give you these incredible running women! What do you think their mantras are?? I like so many mantras, but I think my favorite is the runner girl. I have been up and down in my distances, recovered from stress fractures and shin splints, so, I think the runner girl says it-I am happy to be able to run, and I'm a girl. ;) Have a great day! Pain now beer later, words to live by. I would pick the women's running tee in Pacific Blue with the mantra "My sport is your sport's punishment"
I'm a follower (and also loved the video you posted!). I follow your groovy blog! One more mile and that cake is history. I'm with you on the blue. I think pain now....wine later on a black performance tee would be right up my alley! Of course, I'll become a fan on facebook. They have so many great mantras. It's hard to have a favorite. I like gone for a run on facebook! I'm a stalker, oops, follower. Mantra would be - running is a mental sport... we're all insane. Color would be - pink all the way, or red. 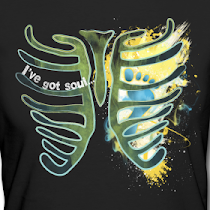 I would get the Performance Tee, with "i will survive (with girl runner figure", in black. I'd go for the V-Neck Performance Tee with "pain now... wine later" in red. Posting your giveaway on my blog! Now "Like" GFAR on FB. 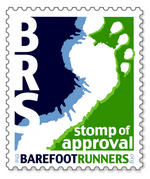 Liked "Gone for a Run" on facebook. I like the mantra: running... the journey is more important than the destination. my mantra would be "twenty-six point two" in PINK! I like to have it when people ask how long is a marathon! I am now a fan of Gone for a Run on FB. Posted a status update on FB with your give away. I forgot to say that I would want my mantra on the mint green running tee. would choose the mint green running t...or the regular tshirt in pink. And green. Green is my color of choice! My Mantra = Running down a dream... For running and the awesome Petty song! i like the "women's running tee" it looks hot! There are so many great mantras to pick from. I like the Running Fitted Tee and would probably go with 26.2; I need the inspiration. Like Gone for a Run on FB. I already like Gone for a Run on facebook. I would get the running T in slate with perseverance as the mantra. I am a stalker...emmm I mean follower! I would go with Gone for a Run with the girl and her dog. Thank you so much for that video. I just love love love women like that...splendid! 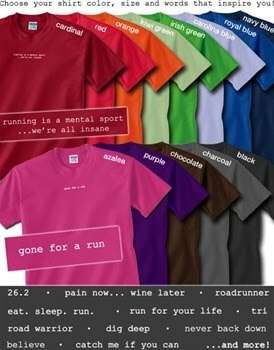 I would like the "Endorphins, My drug of choice" running tee in purple! Love it!!! My mantra would be "I'd Rather be Running," bc I usually feel that way! You said you're just kidding but what the heck? I like the irun with girl runner figure in azalea (pink) in the short sleeve t-shirt. For me it's gotta be "Run now, wine later" because that is what I live and do every.single.day. Maybe it I ran less I'd drink less wine. Probably not. "Pain is Fear leaving the body"
"Fast Girls have good times "
Pasted on side bar wha wha! I would choose the one saying "perseverance"! They are "liked" on FB! I will link to you on my blog! I'd do the green performance T with the 'Running is my happy hour' mantra. Linked to your giveaway in the sidebar on my blog. Hmm toss up between swim.bike.run and believe (my new mantra).. in blue w/ mint green piping. I would get a performance tee in hot pink that says liv'n lov'n run'n! I would choose the slate grey running tee with the mantra "fueled by me"
Posted your giveaway on my blog. If I win the shirt, I'd pick a black running tee with "Running is my happy hour" and the runner girl figure. I like "running... it's a beautiful buzz"
Liv'n Luv'n Run'n :) with the girl figure...would love that on the tech t! Am spreading the word on my blog!! 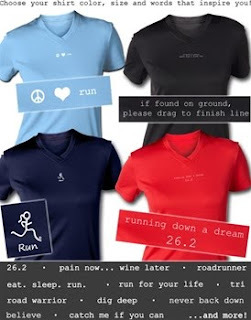 I love the running tee "running down a dream" in blue! reposting on my FB page! I would choose a red performance tee that said "swim.bike.run" since I Just started doing triathlons and have lots of running themed shirts but no tri ones. I'd like the running tee in slate with lavendar stitching with "i run so i can eat"
just "liked" them on facebook! I found your blog from Brilliance Wasted and I cannot wait to read your blog some more. I would like the performance tee in red - Run Now....Wine Later... Because I love running to get rid of all of those wine calories!!! Linked your giveaway on my blog. if found on ground, please drag to finish line. In slate. Adorable. Love the " Fast Girls Have Good Times Women's Running Tee" in pacific blue! I like the "run like a girl" mantra. Love the mint green running shirt! I would get an ORANGE SS tee with "If found on ground, please drag to finish"
I would want the Liv'n Luv'n Run'n if I had to pick JUST one :) My tattoo says Live Out Loud so I think it goes well with that idea! Hi! I was directed here by Tall Mom on the Run. I'm a new follower of your blog. I'm now a fan of Gone For A Run on facebook. I love Gone for a Run, and already own a white running shirt that says, "If found on ground, please drage to finish line". I love the fit and material so much, plus I get compliments on it all the time, so I've been looking to get a second but have had so much trouble picking the right saying. I'm debating between, "i run so i can eat", "eat.sleep.run" with the girl runner figure, and "peace love run". Too many to choose from! I shared the link to your giveaway on facebook. My Mantra would be "Pain Now Beer Later"
I like the running tee in green that says "believe". I like Gone for a run on facebook. I would have to chose a running tee, in the slate with lavender stitching. The mantra would be "ultra insane" as it's my goal to have run at least a 50k in the next 6 months. I like Gone for a Run on FB too. I like "run now, wine later." I linked your giveaway to my facebook status.